Mango season is here and the King of Thali, Rajdhani is celebrating the king of fruits- Mango. Last weekend I was invited for a special food tasting session along with my fellow foodie friends at Rajadhani, Koramangala outlet. Rajdhani has given a perfect name for this- Aamlicious. Aam in Hindi means Mango. 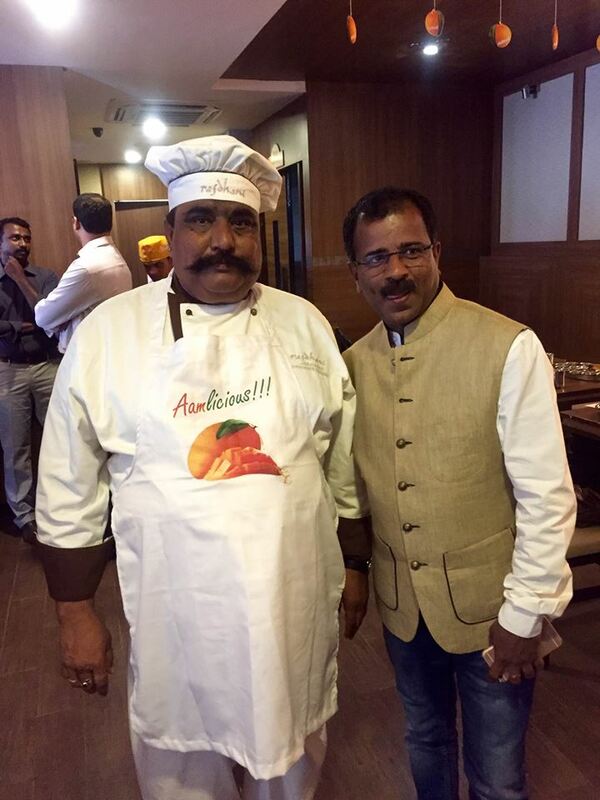 Rajdhani has 27 outlets across 12 cities in India and abroad. 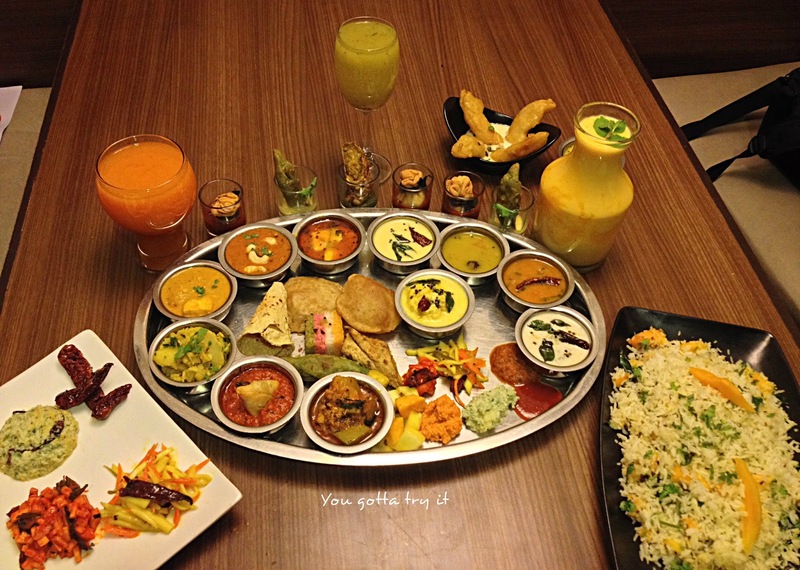 Rajdhani is famous for serving an authentic Gujarati and Rajasthani food with their Thali concept. 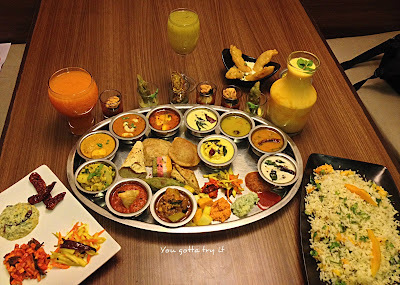 This time it was way beyond just a thali as they have created lots of mango dishes using both raw and ripe mangoes for giving a wonderful mango treat for the customers. I had been to Rajadhani many times in different outlets and this time my visit was even more special because of the Mango thali. I love mangoes whether, its raw or ripe ones. Exceptional will be an underrated word for the kind of service and food they served. Every dish they served was cooked to perfection and it will take you to a guilt-free pleasure indulgence, if you are a mango lover. 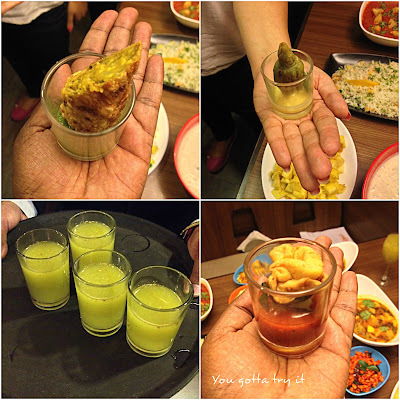 Aamras with Puri, Oh boy! it was heavenly. Rajdhani's staff will ensure that you are enjoying every bit of your thali and they will keep on refilling till you say 'enough, I am done'. 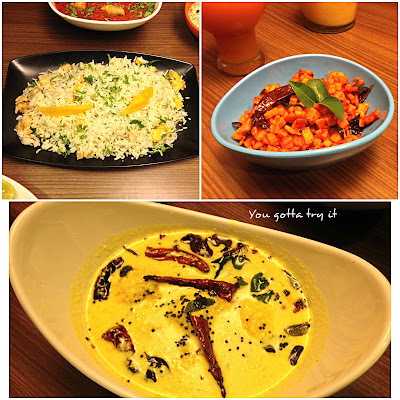 My favorites include the Mango dal dokli , Aam bhare pappad roll, Kairi samosa ki sabzi, raw mango pachadi and ofcourse Malabari Mango Kadhi or Mambazha Pulissery which is weakness of every Malayali; sweet and tangy mango cooked in a curd based yellow gravy is a must try dish. They have given a North Indian twist for the pulissery. I have eaten regular jilebi and apple jilebi, but mango jilebi with rabdi was first time for my palate. It was an absolute bliss. 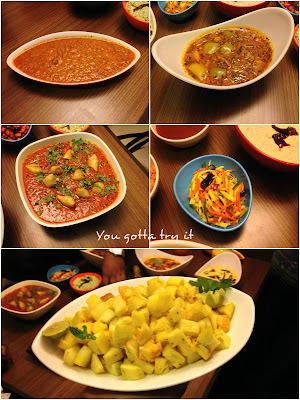 Aamlicious Thali will take you to a culinary journey through flavors from different parts of the country. So don't forget to devour into your favorite sweet,spicy, and tangy mango dishes before the season gets over. Thanks to the entire Rajdhani team for a fantastic Thali. 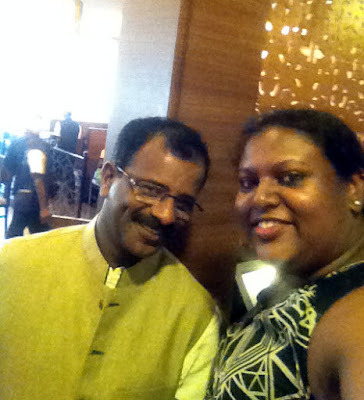 I was invited by Mr.Aji Nair and Ms.Diana from Mirah Hospitality. Aji was a wonderful host who helped us a lot to understand the dishes along with his colleagues Khusboo and Soumali. Decor of this outlet is pleasant and its located in one of busy streets in Koramangala 7th block, above Starbucks. 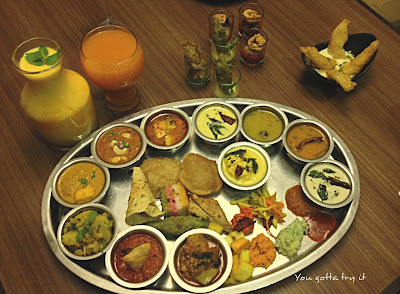 Aamlicious Thali at Rajdhani will be till end of June.